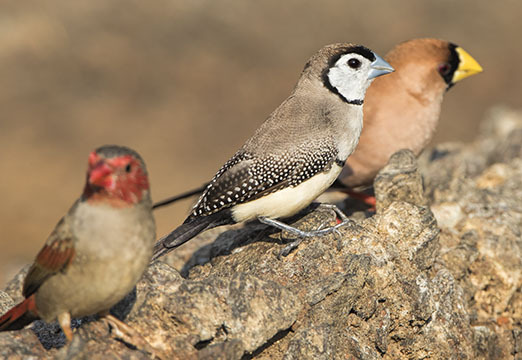 Australia has a wealth of finches; most are small seed-feeders that often have some red coloration. 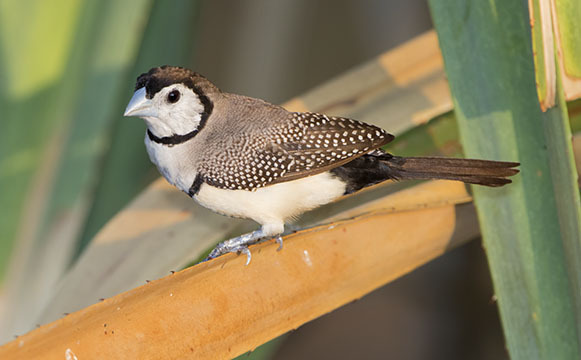 This species is an exception, but it is very crisply patterned in an intricate black, gray, and white pattern. 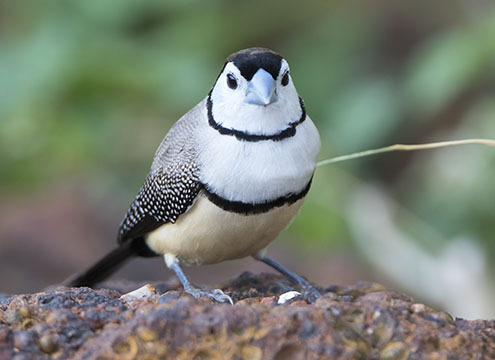 Most of these were photographed near a small puddle in a dry creekbed in Kakadu Park, Northern Territory. 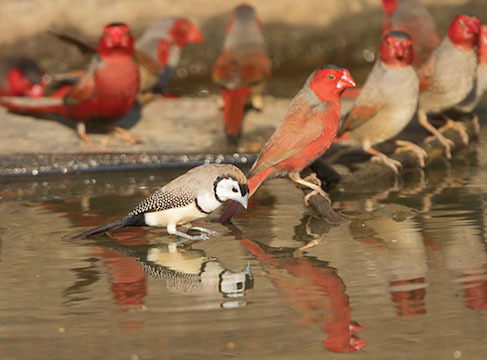 Also drinking here were long-tailed, masked, and crimson finches; the insanely bright Gouldian finch, although increasingly rare, also occurs in this region. 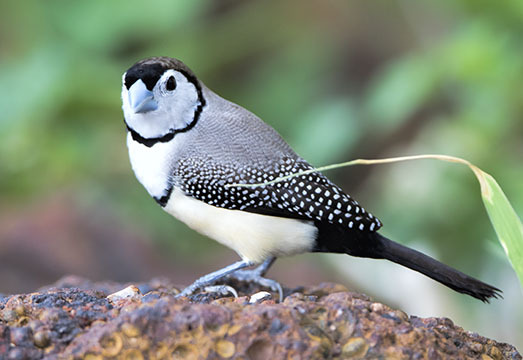 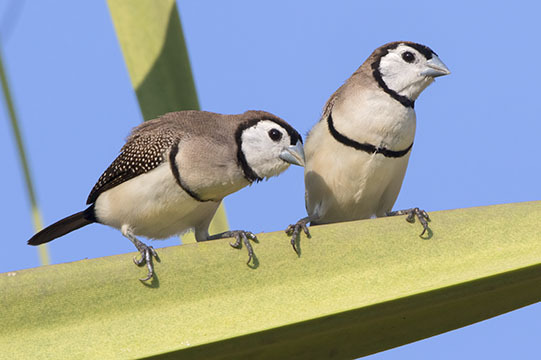 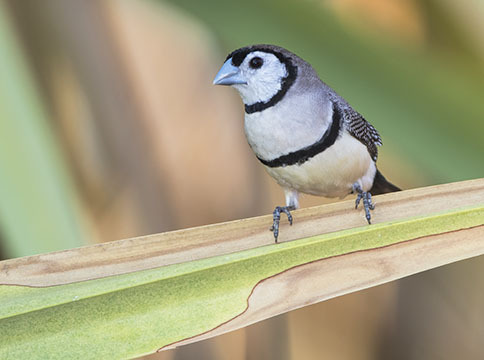 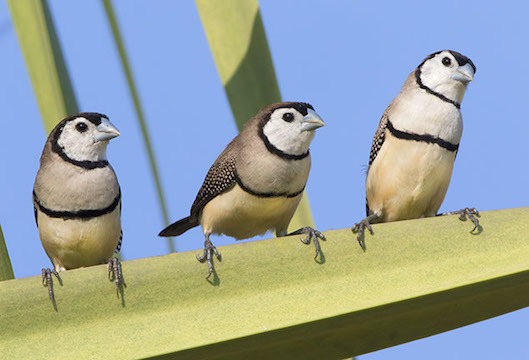 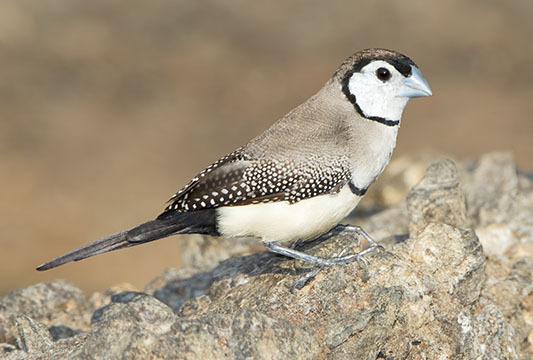 A few double-barred finches were photographed in far-north Queensland.